Mountings: 39 pattern gunto mounts with brown lacquered saya. Overall Condition: Very good. 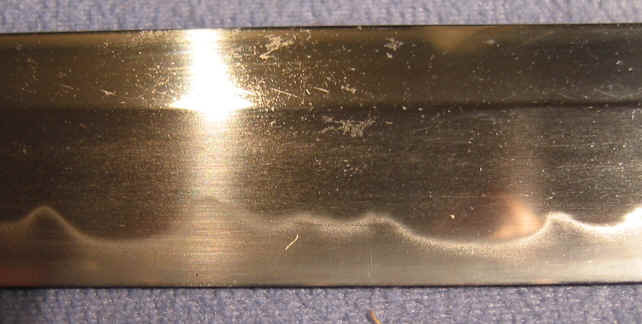 Blade has a mirrored polish which hides the hada, but hamon is active and bright.